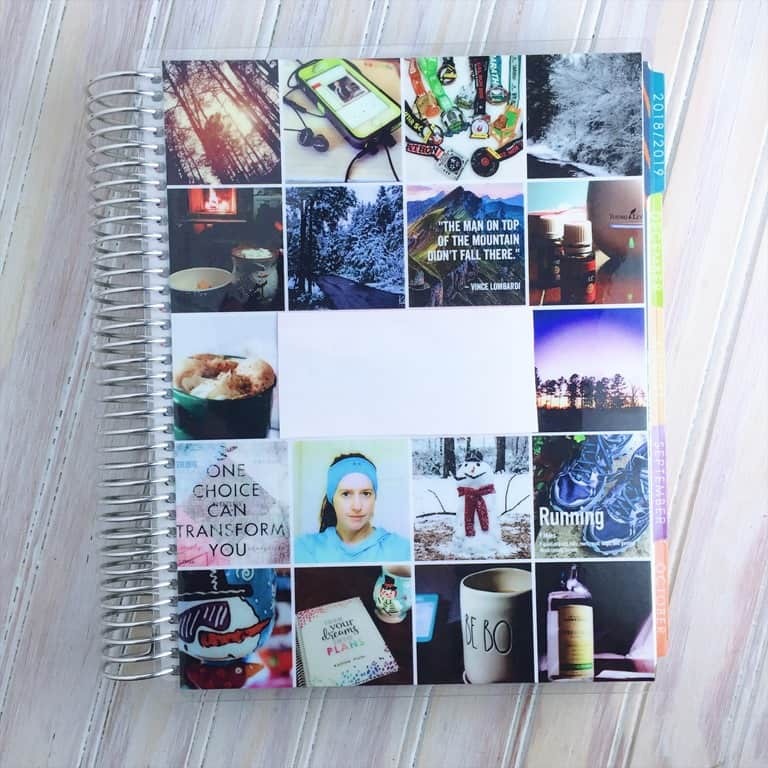 There’s nothing like getting off to a great new year like cracking open new planners. Many people organize and plan by traditional calendar years. 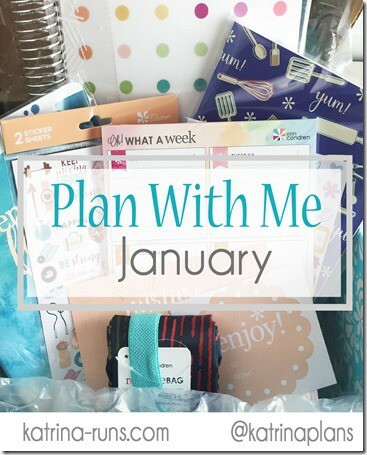 I use traditional calendar year for my blog planner and my book planner. For my main planner, I use academic year July through June. 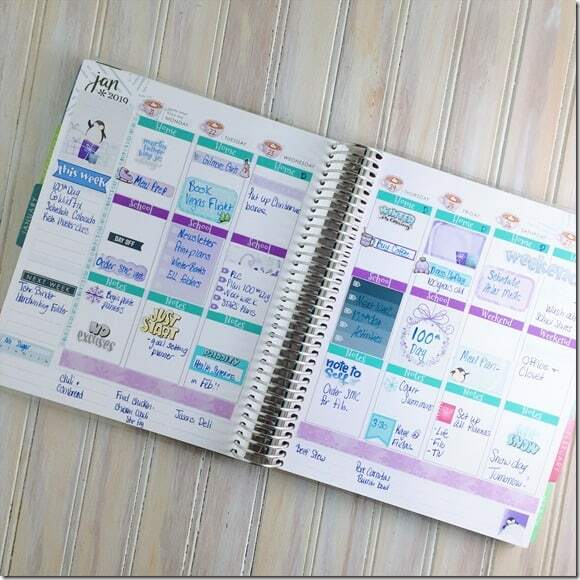 I need to have all my school dates for the year in one calendar and Erin Condren always has an academic year option. 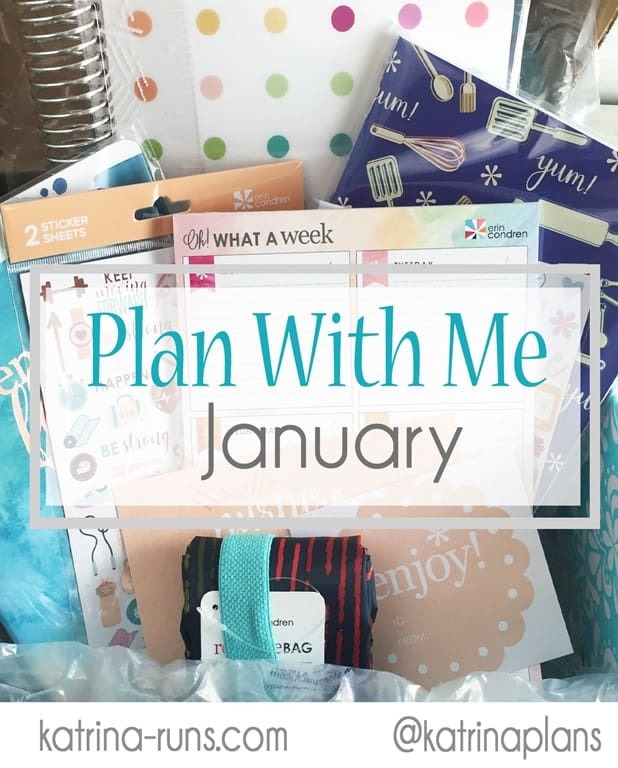 Each month, my Plan With Me feature may include reviews on new items, new planner accessories, various planner options, sticker shops I enjoy, or a just a quick view of my plans and how my mind works. Scary thought, but I’ll volunteer for tribute. I’ve posted several reviews of Etsy sticker shops over the past few years. I still stand by those reviews and I look forward to posting more consistently about a big part of my daily organization methods. Since I already reviewed my amazing Bookworm Life planner a week ago, I’m starting this series with a boring January weekly spread and my January cover. I love these covers with customizable photo options. I have one for fall, Christmas, and January. 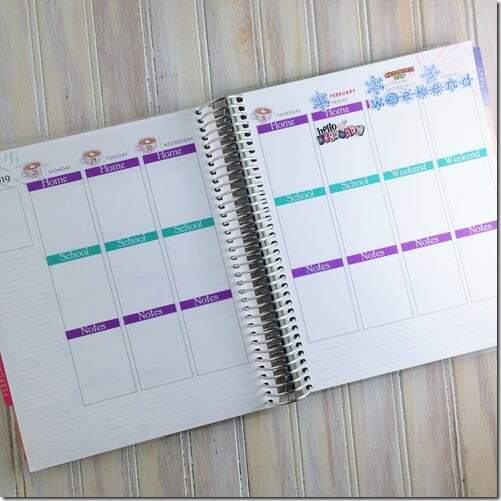 After winter, I rotate older covers around because the new Erin Condren planners go on sale in May. I can’t believe I’m already talking about a May planner. Back to January now. This cover just screams “new year, new me” stereotypical images. But, I love them and they are mine. I took these pictures and made the quotes from my photography. For the record, please do not just use a pic from google images to make your covers. I had an uncomfortable moment explaining to someone they had MY picture of peppermint mocha in a terrifically gaudy mug on their cover. Don’t steal images for your covers…or ever. This one has some running pictures, favorite badass quotes, snowy wintery things, and my favorite ‘before’ pic. I find it sad that at the time, I wasn’t satisfied with this picture. Now I would give my fabulous red hair for it. I would go boring brown haired for this picture again. (Not really…my hair is my best feature). Here is my most basic set-up for a week. I make my own box headers for Home, School, and Notes. I love to use seasonal date covers. I’m using a sticker kit from Krissyanne Designs for most of the event and functional boxes and quotes. This was a quiet week, for the most part. Except for that small box that reads Book Vegas Flight. That can only mean one thing. I’m going to the Go Wild conference for the 4th year! We are in Vegas and I cannot wait! Thanks to the generosity of some friends, I’ll be at the Hard Rock Hotel for 4 days in May. Finally, this is my “before the pen” view. 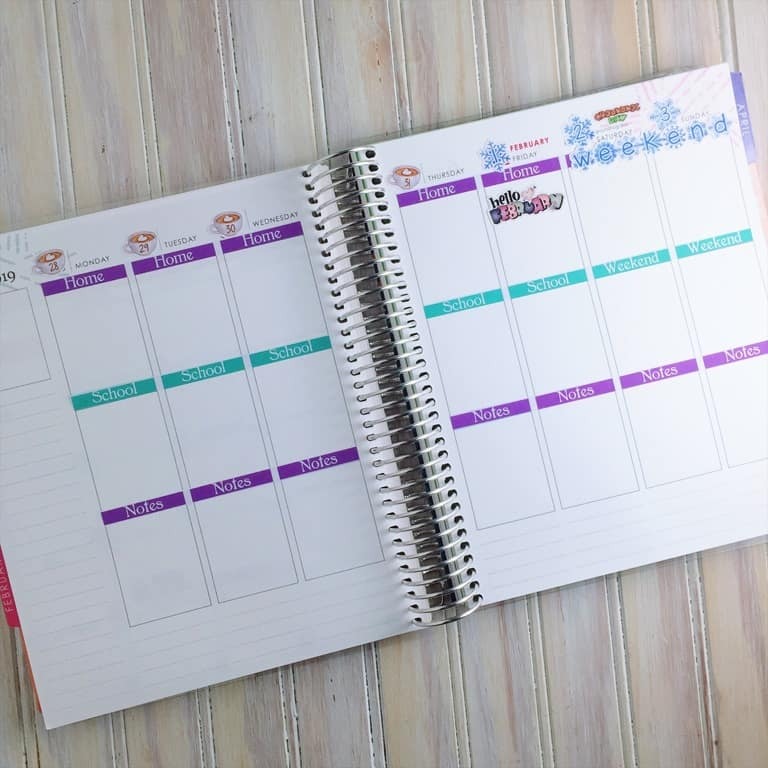 People new to the planner community often ask for examples of how we use our planners, how we choose to use boxes and stickers and washi tape, foil, stencils, etc. People ask about pens, pencils, and charms. The planning community has exploded in the past 5 years and so many (mostly) women are now small-business owners making planner accessories. It’s amazing and I’m so proud of many of my friends who support their families with savvy business management. That’s part of why I attend Wild For Planners conference each year. That’s all for January. Happy Planning!